Your users have unique learning needs, so why not provide them unique paths based on those needs? Are there required learning trees involved with your training program? Are your certification and training requirements complicated? Are they challenging for users to process? TOPYX® can help you organize and clarify them. Customized online learning paths for individuals or user groups give you comprehensive content management functionality. With online learning path functionality in TOPYX, you can create a sequential order of delivery for courses and materials. The course/material sequence can also be allocated to select users or user groups. You can set eligibility requirements for more advanced courses. 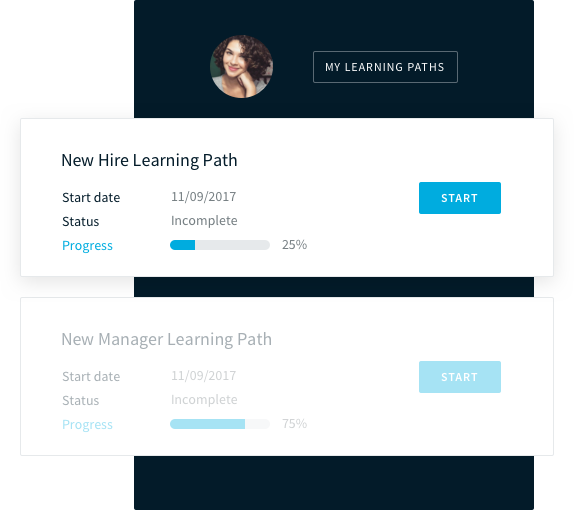 More advanced courses become available only after users finish previous courses or materials, and users can only access content assigned to their online learning path.